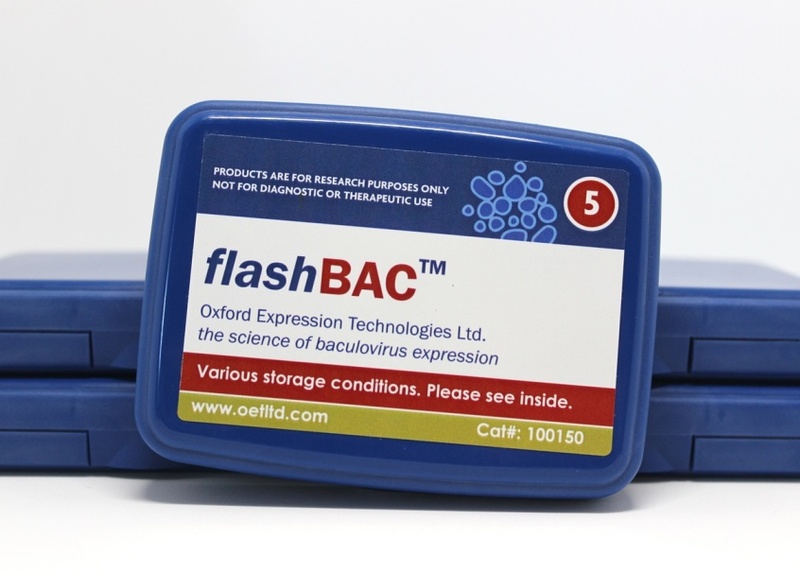 The original flashBAC™ vector (cat# 100150/100151/100152) is a good choice for projects where the gene to be expressed is likely to be simple and targeted to the cytoplasm or nucleus of infected cells. 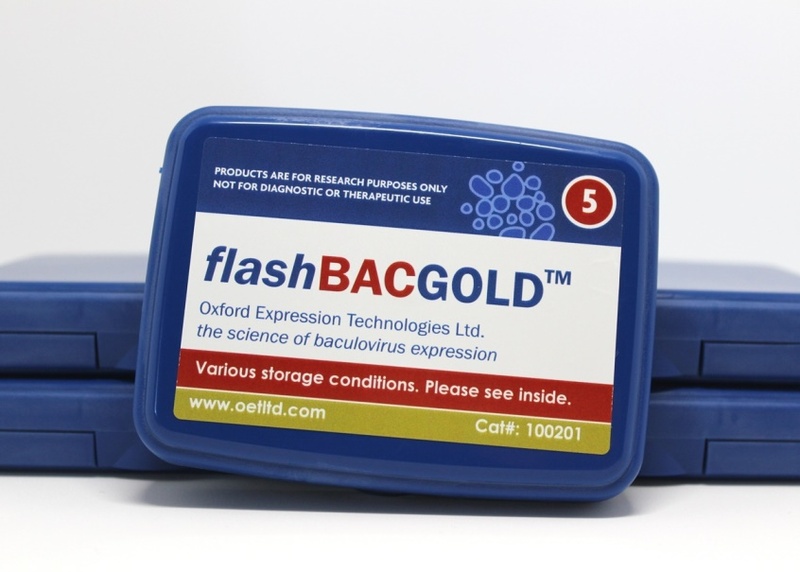 The flashBAC ™ system builds on the BacPAK6 technology. 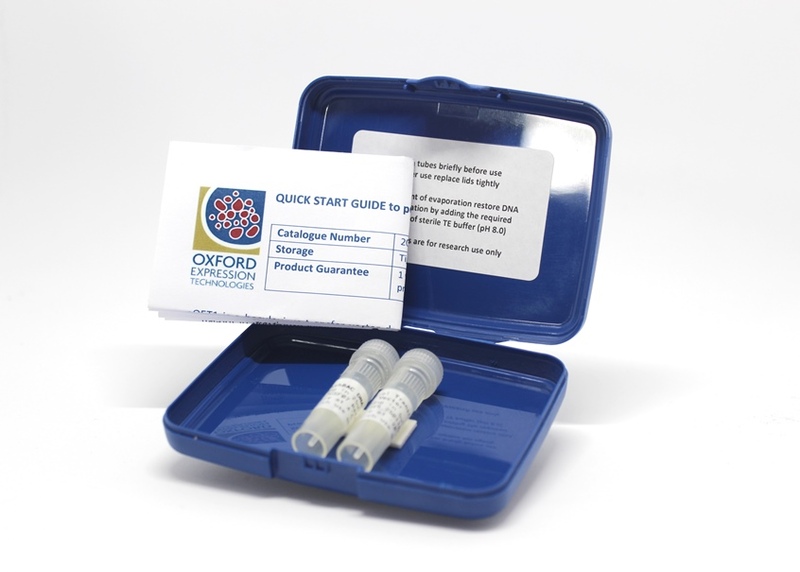 At the heart of the new system is an AcMNPV genome that lacks part of the essential gene ORF 1629 and contains a bacterial artificial chromosome (BAC) at the pohl locus, replacing the polh coding sequence. The essential gene deletion prevents virus replication in insect cells and the BAC allows the virus genome to be maintained in bacterial cells as a bacmid. A recombinant baculovirus is produced simply by co-transfecting insect cells with flashBAC ™ DNA and a compatible transfer plasmid containing the gene to be expressed. 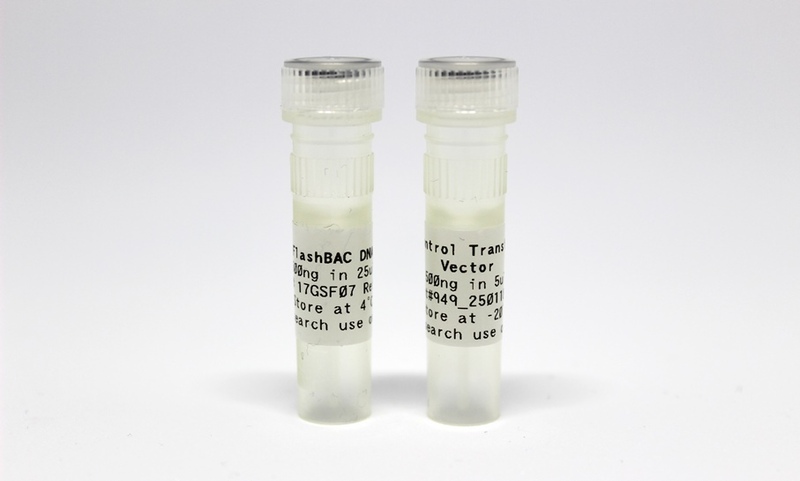 Homologous recombination within the insect cells removes the BAC sequences, inserts the foreign gene under control of the polh promoter, and restores ORF 1629 allowing the recombinant virus to replicate.